Curly Hair and Stuff: Mascara!!! If you know me, you know I have a problem with mascara. I love it. I love trying new brands. I love to discover if it adds up to the advertising. I will keep it for the recommended three months and then I move on to the next brand. Why do I love it so? There's something about the way a really good mascara can transform your eyes. Check out my current favorites. This product promises to not only give you extra curl, great length and massive volume, but it also promises great separation. Does it deliver? Absolutely. This is my current favorite and a mascara that I will definitely buy again. I love the ball shape at the tip of the wand. This allows for additional separation of the lashes AND it's great for coating your bottom lashes. *sigh. I love this mascara! Seriously. Do I have to say anything else? It's Dior. This mascara is the blackest, richest, most delicious mascara. I love it because if I wear it alone my lashes can be seen from a mile away and if I am wearing a dark smokey eye, my lashes are not lost in the make up. It doesn't get any better than that. I really like this mascara. 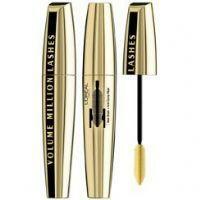 It does an excellent job of lengthening and separating lashes. 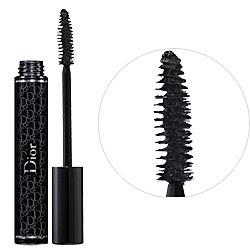 The really cool thing about the packaging is the tube was created to remove excess mascara. Why is this so cool? It eliminates the clumping issue or the need to wipe off excess product from the brush. This means no spider lashes and no product waste. It's already the least expensive of the three and then it helps you save even more money. Does it really give the illusion of having millions of lashes? No. But Thousands of Lashes doesn't really roll off of the tongue. Question - what difference does the shape of the brush really make in regards to application of the product? The brush and your technique will determine the kind of lashes you will get. A curved brush will give curl to your lashes. A flat brush will give your lashes length; but not much volume. A wide brush will give you great volume but not necessarily length. It's great when you can find a brush that can create the complete look you're going for. Hey Nikki .. catching up on the blog and loving it! Where can I get these mascaras to try? Hey! Thanks for checking out my blog. This is actually a lot of fun. You can buy Diorshow at Sephora, Bloomingdales, Saks and Nordstrom. Benefit can be purchased at Macys, Sephora and Ulta.Finally, the Revlon can be purchased at any drugstore, Target or Walmart. Happy New Year. Just checking in. I also love mascara...To me the eyes can be so innocently seductive with a touch of mascara. 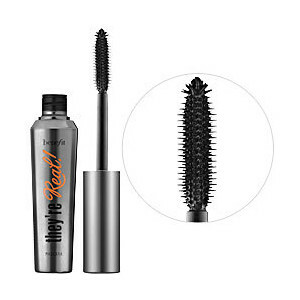 My all-time fav is Loreal Telescopic Mascara Black. I tend to blink my eyes a little more when I'm wearing it. LOL!!! Thanks for checking in Sonya! I blink a lot more if I like the way my eyes look!